(2) Chest behind the skull statue. 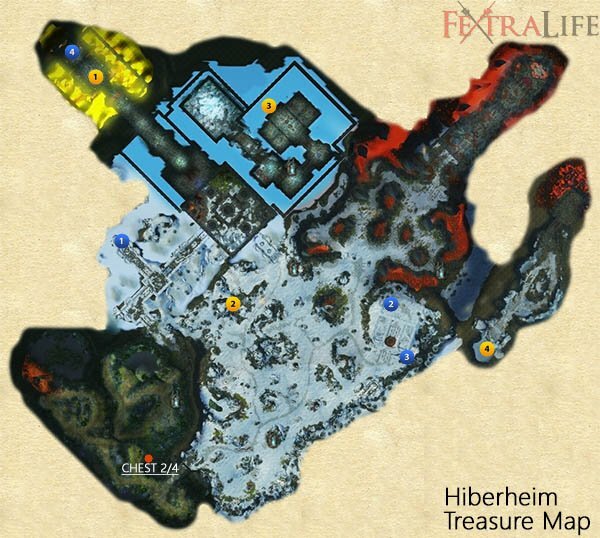 (3) Treasure will be available to take aftrer destroying the Iron Maiden - torturing tool. (4) Chest in the tunnel to the prison. (1) Portal to room witch two chest. (2) Chest by the well containing Royal Guard Amulet. (3) Two chests hidden by the wall. Chest 2/4 – Second chest of four to find, where all four allows to open "Last Chest" chest in The End of Time.